The cop, the thief, and one in between. Through all time-lines and space-threads, they are entwined. Who will win in this cat-and-mouse game that spans millennia? Will there ever even be a winner? ...probably not, but it's fun to try, anyway. 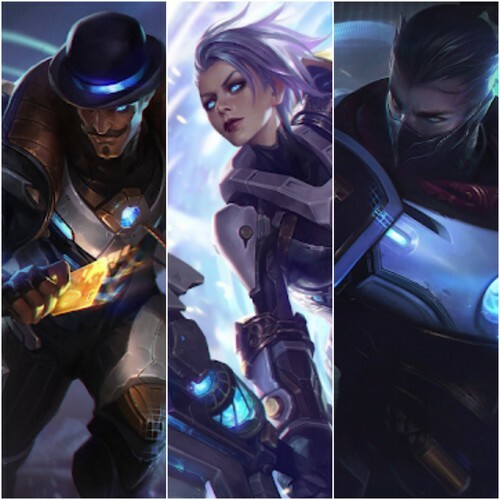 Pulsefire 2018 is here, with new skins for Riven, Twisted Fate, and Shen! These roles are each around 40 lines, with special interactions and dialogue between other Pulsefire skins. 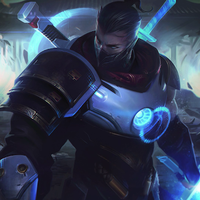 Shen is calm, pensive, and wise. He is fighting a war only known to himself. His voice is deep, smooth, and calming. Yesterday is gone, and tomorrow is not yet here. We still have time. (Shen sighs sadly) Where does the time go...? A stone may skip many times, but it will always sink in the end. 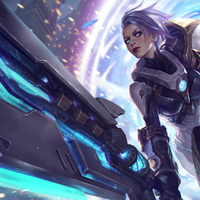 Riven is a newbie time-cop, sent to track down a ruthless temporal fugitive. Her voice is enthusiastic, but a bit shy and a little too gung-ho at times. My past is everything I've failed to be. I'm not much, but I'm all I have! Time can be broken, but my blade's gonna fix it. Time takes all, whether you want it or not. The past is never dead. It's just... faded. Let's close the time-like curve! 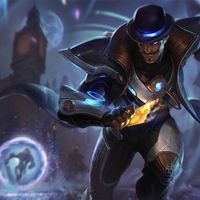 Tobias "Twisted" Fate is a known temporal fugitive that makes his living swindling folks from other eras. His voice is suave, with a pleasant southern twang, but he knows the ins-and-outs (and horrors) of time travel well. Time steals everything... (T.F chuckles) We have that in common. If you want time, you've got to take it yourself. Where I'm going is pretty simple, it's the when I'm going that's kinda off. Forward or back? Either way, I'm makin' a profit.